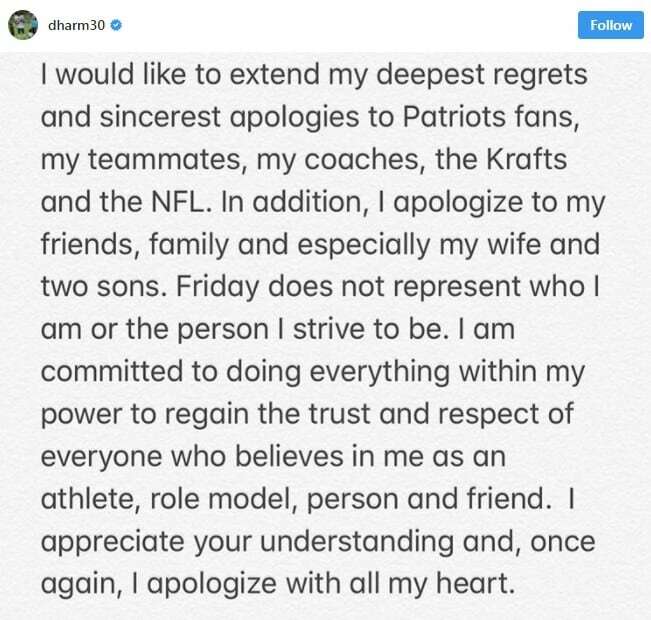 New England Patriots safety Duron Harmon published an apology to “Patriots fans, my teammates, my coaches, the Krafts and the NFL,” as well as his friends and family, following his arrest in Costa Rica last week. Harmon was arrested Friday in Costa Rica and then sent back to the United States after he attempted to enter the country carrying marijuana, according to the Ministry of Public Security. A news release from the Ministry indicated that the athlete was found with 58 grams of marijuana, three pipes with cannabis oil, and four glass containers with compressed marijuana. A post from the athlete's Instagram account. 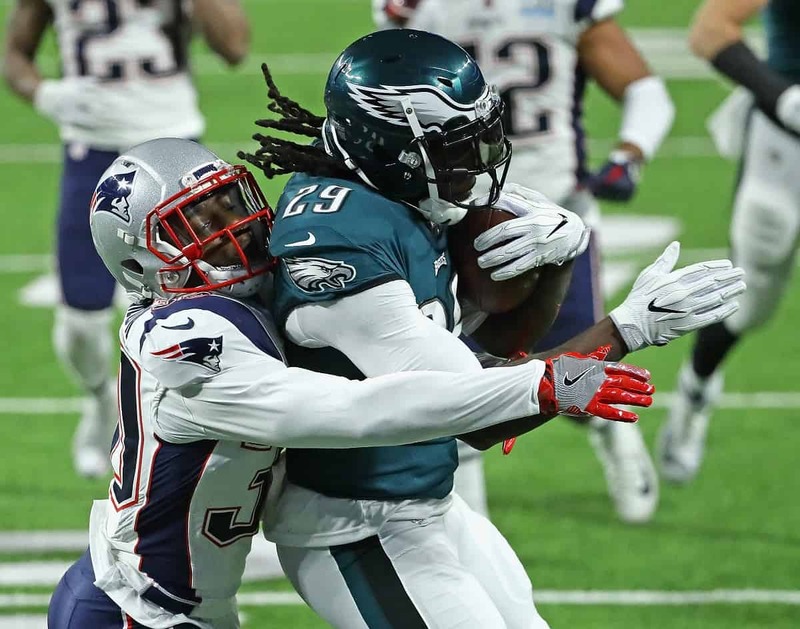 Duron Harmon via Instagram. Harmon had arrived in Costa Rica from Fort Lauderdale, Florida, and was sent back to Fort Lauderdale after his brief detention. Harmon’s arrest took place after a routine luggage check on flights arriving from the United States. The Costa Rican control agents found the drugs hidden in a beverage can, the Public Security Ministry statement said. Six Costa Rican students receive AFS-CRUSA scholarships for year in U.S.